Attention Thrivent Members!!!!!! Your Choice Dollars must be designated by the end of March. Make sure to check your account to ensure your funds are directed to Good Shepherd. If you have any questions, please contact the church office. 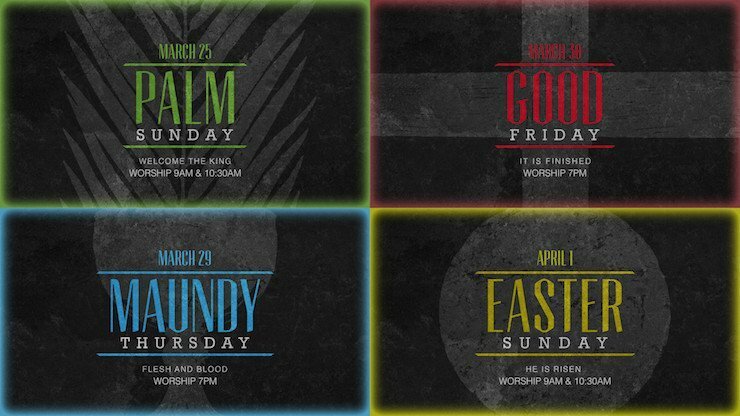 Prayer Vigil: Once again, Good Shepherd will be hosting a prayer vigil from the end of the Maundy Thursday worship service to the beginning of the Good Friday service. If you have a prayer request, please use the prayer card in the bulletin, or go to the prayer board and fill out a card. If you are interested in participating in the prayer vigil, there is a sign-up sheet in the Narthex. GSCC Summer Camp: The Children’s Center is expanding their Summer Camp Program to 5 full days (6 am to 6 pm). With this change, we are looking for a “Summer Camp Program Director.” If you are interested, please contact Marianne@obgscc.com For more details, see Marianne Krawiec. Easter Egg Hunt: We are looking for volunteers to help make this event a big success. You can sign up on today’s connection card or see Barbara Ressler. We are need individually wrapped candy that will fit inside the Easter Eggs. NO NUTS please. There is a box in the Narthex for you drop off your candy. We need all candy by Sunday, March 25. 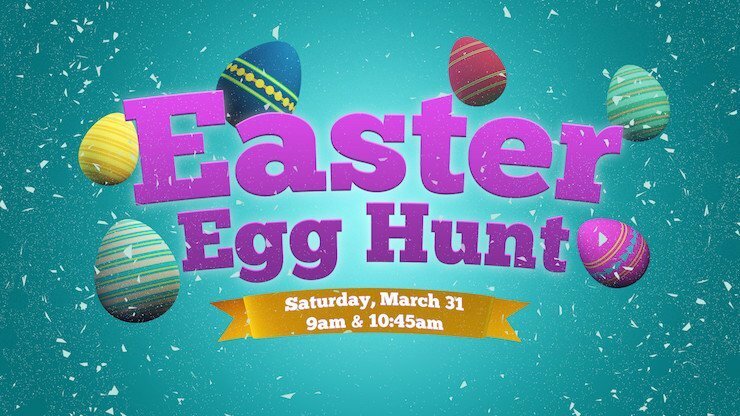 Join us for the Easter Egg Hunt on Saturday, March 31st at 9 am and 10:45 am. There are two separate sessions. Each session will last approximately one hour. Sign up for either one of the sessions. This event is free; however, we are taking donations online and at the event to support this event. The suggested donation is $10/family. Please sign up at: www.gs4nj.org/egghunt. Easter Flowers: If you wish to purchase flowers for the Altar for Easter, please use the white binder sign up sheet. There are Lily’s ($7) and tulips ($10). Any questions, please see Doreen Humiston. The youth group will be selling Easter Chocolates at the Easter Egg Hunt and on Easter Morning. If any youth would like to participate we will be making the chocolates on 3/24/18 at 12:30 pm. The proceeds will be going towards the National Youth Gathering and renovating the youth room. Any youth that is still interested in the Gathering please contact Rachel at rachelharning@gmail.com. Easter Breakfast: The men’s group will once again be cooking Easter breakfast. Anyone interested in helping on Saturday, March 31st following the Egg Hunt to help set up and crack some eggs, please contact Julio Artache, or sign up on today’s connection card. Please be sure to put your name, email and/or phone number on the card. The meal will be served from 9:15 (10:30 members come early and enjoy breakfast before worship service), until 10:45 (9 am members enjoy breakfast after service). We also need helpers to clean up after the event. Spring Work Day: Mark your calendars; Spring Work Day will be Saturday, May 5th starting 8:30 am. There are always many different types of jobs to be done in and around the church, and the more hands the better. Please sign up on today’s connection card. If you have a specialty (electrician, plumber, etc.). please let us know. CONFIRMATION NEEDS Material & Donations: The Confirmation Class is working on making blankets for Project Linus. We are in need of 60 x 60 inches blanket material to make these blankets. There will be a box on the stage to leave the material. If you cannot get material, monetary donations are welcome and appreciated as well. Confirmation Class is also in need of monetary donations to help pay for the cost of confirmation, the materials, and retreat. If anyone would like to donate, you can put in the offering plate and clearly mark the envelope CONFIRMATION. Numana Meal Packing Event 2018: We will be hosting our meal packing event on Saturday, June 2, 1028. We packed 80,000 meals last year, but this year we hope to double that number and pack 160,000 meals. Double the meals will help double the children. This means we will need to raise $48,000 to make that happen. That is a big number, but we can break that number down. We will pack 740 boxes that contain 216 meals each. Each box is $65. We need just 740 donations of $65. Another way of looking at it is that each meal costs 30¢. For every .30¢ that is donated, we can provide one more meal. It happens just a little bit at a time. Donations can be made online by going to gs4nj.org/mealpacking. This link will take you to the donation page for our meal packing event on Numana’s website. If you would like to send a check, it can be made out to Good Shepherd Lutheran Church and specify “For Numana Meal Packing event” on the memo line. Read the Bible in 2018: Join the Good Shepherd Daily Bible Reading Plan in 2018. It is called the Commuter Plan because it can be read during your commute on bus or train in 15 minutes. Download your copy of the plan today at gs4nj.org/biblereading or pick up a copy in the church lobby.